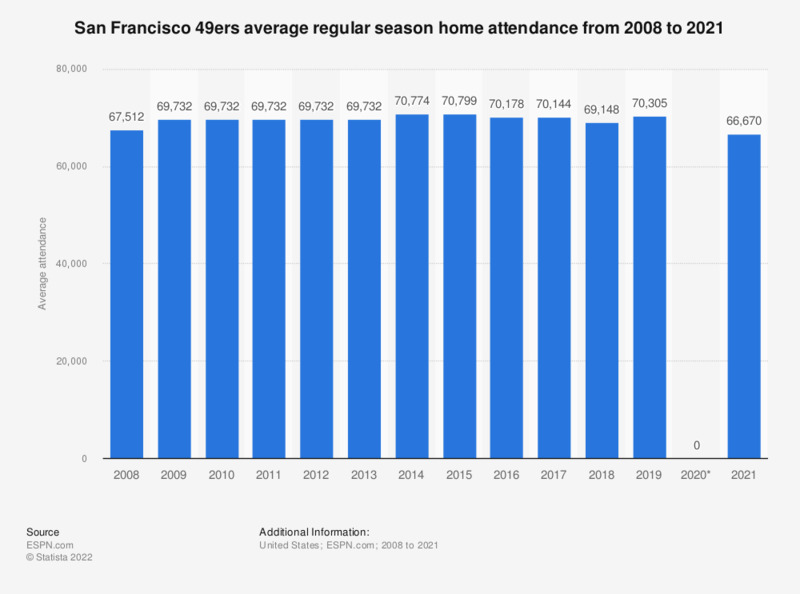 This graph depicts the average regular season home attendance of the San Francisco 49ers from 2008 to 2018. In 2018, the average attendance at home games of the San Francisco 49ers was 69,148. Everything On "San Francisco 49ers" in One Document: Edited and Divided into Handy Chapters. Including Detailed References. Statistics on "San Francisco 49ers"
U.S. population: How many packages of Keebler Fudge Stripes cookies have you eaten in the last 30 days?